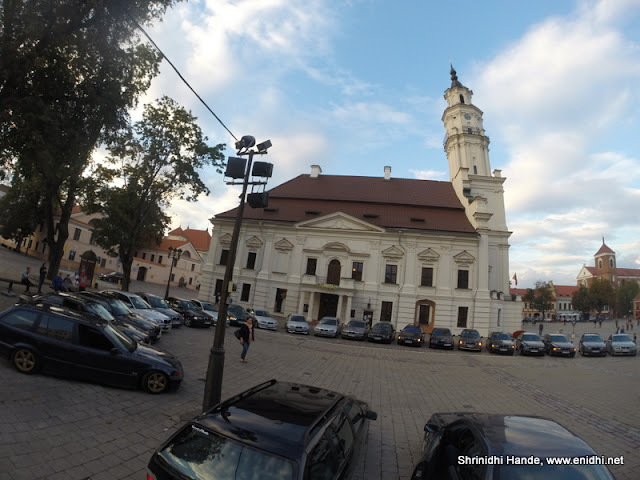 As I returning from Kaunas Castle, I saw a sort of traffic jam with lots of cars. Then I realized that they are all BMWs. Then I hung around a bit to figure out what is going on. 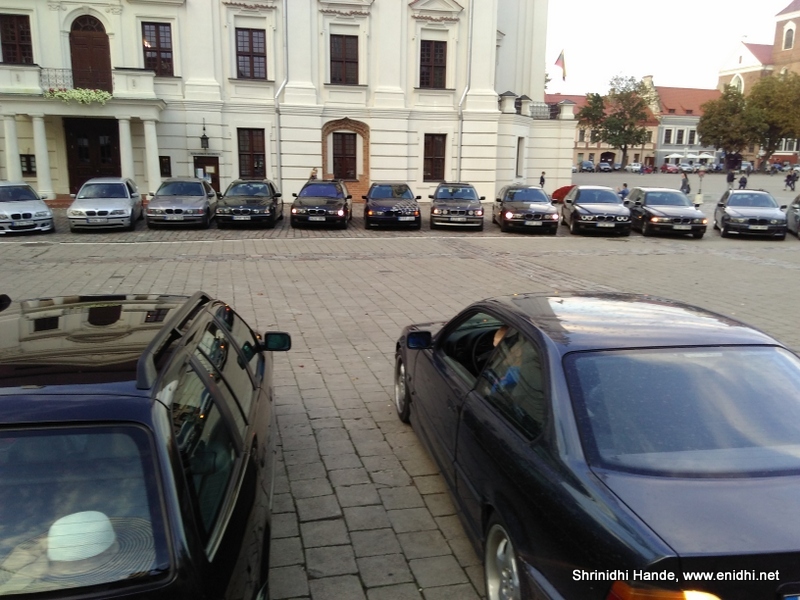 One by one the BMWs came in and lined up infront of Kaunas city hall. Apparently local BMW owners had decided on a meetup. Some pictures for you from what I observed. At least few folks mistook me for official photographer and were looking at my camera instead of their photographer who had climbed buildings to get a great view. wow ! what a beautiful place to visit !! Thanks Arun, Arun Prasad, Ravish Mani, Rupam, Yogi. Did u take their 'official' photographs!! I think that car clubs are gaining popularity all over the world. Especially if you really love the make and brand of your car, it's nice to get into a group where others feel the same way.